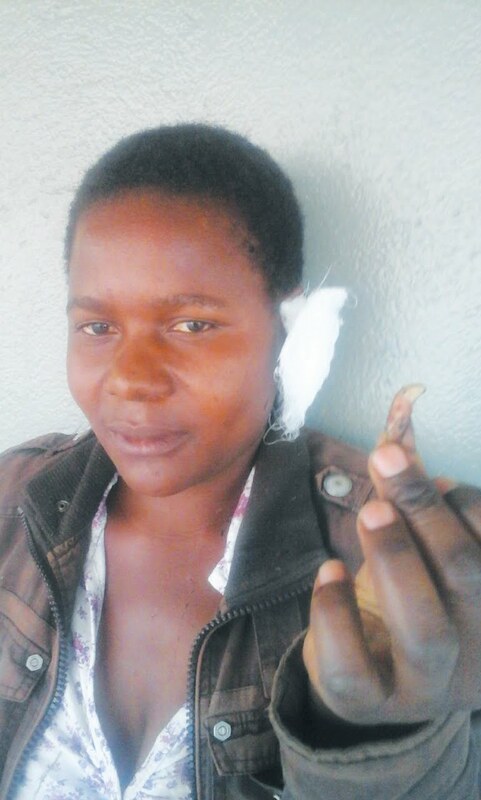 A Chiredzi mealies vendor, Muchapareva Mbaimbai was left without her left ear after she was attacked by another vendor on Monday over a US$2 debt she has owed her since December last year. Mbaimbai told TellZim News that she was attacked by the woman she identified as Mai B whom she owed the US$2. "She approached me at Shingai Market where I was making some orders and made enquiries concerning the debt. I then told her to come home rather than demand her money in a public place. She then became angry and grabbed my throat and pinned me down before a certain passer-by restrained her," said Mbaimbai. She said her attacker then went away only to come back a few minutes later with more vengeance. "After a few minutes she returned and violently grabbed my hands then bit off a part of my ear and spat the piece of the ear on the ground...a man who was close by grabbed her to end the commotion," said Mbaimbai. Mbaimbai was then taken to Chiredzi General Hospital where she received medical attention and the case was reported at ZRP Chiredzi Police Station. I can hardly imagine this world reaching at a point where women would be regarded as society members that are just like men.Everytime I read such heartrending stories where women are victimised.Lets protect vulnerable society members please,I reiterate lets do that!Am profusely exasperated!